During Monday night's presidential debate, when Democratic presidential nominee Hillary Clinton claimed that Republican presidential nominee Donald Trump had not paid federal taxes, he interrupted her and said, "That makes me smart." Clinton was initially speaking about how Trump had not released his tax records until he tried to open a casino, and claimed that it was then revealed that he had not been paying federal taxes on his fortune. It is extremely telling of his attitude toward alleged tax evasion that rather than deny it, he interrupted her with the flippant remark. 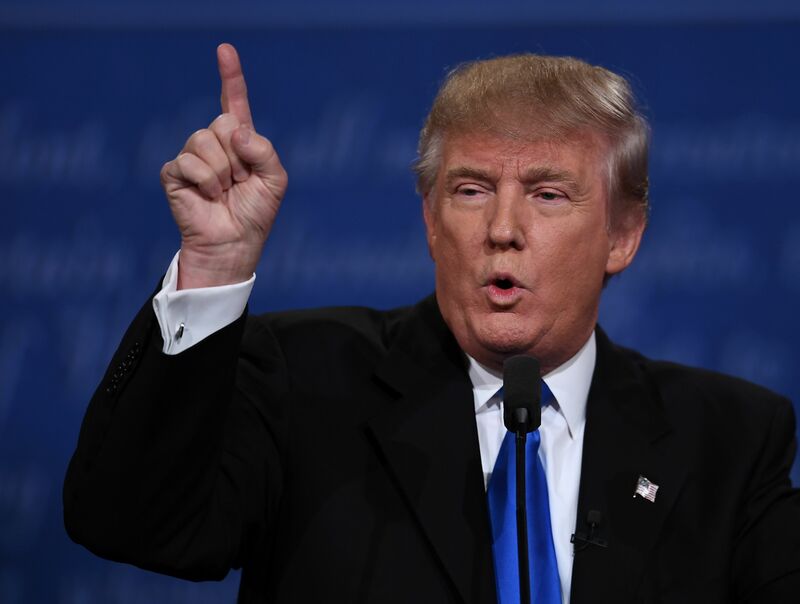 Trump has famously not yet released his tax records, an issue that has been brought up countless times during this election cycle and multiple times during Monday's debate, where he claimed they were currently in the process of being audited, but that he would release them if Clinton released all of the 33,000 e-mails sent from her private account — seeming to imply that the tax records are available if he chooses to release them. But what those records will reveal won't be much of a surprise to anybody following the narrative of Trump's view on federal taxes. "I fight like hell not to pay taxes," said Trump in a Feb. 9 interview with NBC's Matt Lauer and Savannah Guthrie. "I hate the way the government spends my money." Trump's comments on this matter have become both a consistent and frustrating narrative in this election, as evidenced by a nearly identical quote a few months later. "I fight very hard to pay as little tax as possible," said Trump on May 13 in an interview with ABC News’s George Stephanopoulous. When Stephanopoulous asked what his tax rate was, Trump replied, "It’s none of your business. You’ll see it when I release. But I fight very hard to pay as little tax as possible." This mindset is, of course, reflected in his economic plan, which proposes to cut the top marginal tax rate from 39.6 percent to 25 percent, and the top corporate tax rate from 35 to 15 percent. According to an analysis conducted by the Center for a Responsible Federal Budget in Washington D.C. in June, this decision would be a major contributor to a projected $11 trillion addition to the national debt under his plan — almost twice the projected size under Clinton's. While these cuts would no doubt benefit people like Trump, they also belie an attitude as reckless and flippant as the "That makes me smart" comment he interrupted Clinton with during Monday's debate. Trump's boasts about tax evasion are troubling enough, considering his public persona and history of disparaging federal taxes — but bringing that kind of entitlement and disregard for their importance to the White House is far more than troubling.